Who on earth would dare to launch a jazz record label in 2008? We�ve come a long way from the days when an upstart indie like Blue Note, Prestige, Impulse, or, um, India Navigation could define the sound of jazz in its day. Or have we? With major labels reeling from the impact of digital downloads and a sluggish economy, perhaps the time is right for an audacious undertaking like Marty Monroe�s L.A.-based Furthermore Recordings, whose inaugural releases � the two discs under review here, natch � mark the label�s auspicious debut. Dallas-based trumpeter Dennis Gonzalez invented himself as a cottage industry back before the term �DIY� existed, releasing records on his own Daagnim label starting in 1979. Since the �80s, he�s worked with the cream of jazz� avant-garde, including several members of Chicago�s Association for the Advancement of Creative Musicians. In 1999, his two grindcore-playing sons, Aaron Gonzalez (bass) and Stefan Gonzalez (drums), coaxed him out of musical retirement to form Yells at Eels, a band that has since performed all over the United States, in Europe and Mexico, and has recorded three albums. 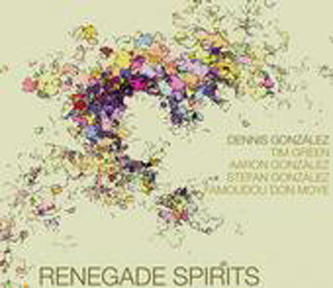 Last year, the trio got together in a Dallas church with New Orleans saxophonist Tim Green and avant-jazz legend Famoudou Don Moye, the masterful Art Ensemble of Chicago percussionist, and recorded the nine tracks on Renegade Spirits. Playing three compositions by Dennis, one by Aaron, and five group improvisations, the musicians conduct several dialogues simultaneously. The melodic contrast between Dennis� stately fanfares and Green�s thoughtfully constructed statements provides many rewarding moments, as do the percussion exchanges between Famoudou, the august eminence, and Stefan, the fearless acolyte. The two miraculously manage to interweave their complex patterns without clutter. On bass, Aaron is an active explorer whether playing arco or pizzicato. 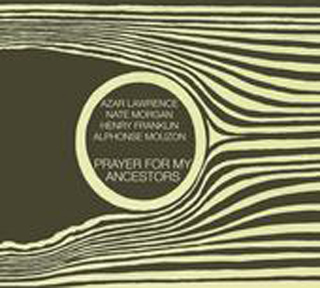 The disc is appropriately named: The music that these authentic mavericks make occupies the same sort of sacred space as the Art Ensemble at its most magical. The album gives the lie to those who dismiss �free jazz� as cacophony. Even when they�re traversing uncharted territories, these five are sufficiently attuned to one another�s voices and rhythms to follow the same compass. The recording captures the dynamic between them perfectly. As with the best �50s and �60s jazz sides, you can hear the sound of the room where Renegade Spirits was recorded. Angeleno tenor and soprano saxophonist Azar Lawrence first came to prominence in the early �70s with the titanic pianist McCoy Tyner, best known for his ivory tinkling in the �classic� (read: �not-yet-totally-nuts�) John Coltrane Quartet. Lawrence remains an unabashed Trane disciple, the soul cry of his horn evoking the spirit of Ohnedaruth whether he�s essaying a lovely, lyrical lament like Prayer For My Ancestors� title track, a ballad like �Ode to Pharaoh,� or a modal excursion like �Open Sesame.� On �Thokole,� he pushes his sound into the sky above a pastoral African landscape created by singer-guitarist Ibrahim Ba and Amadou Fall on the kora, a West African stringed instrument. Lawrence�s main accompanists here match his intensity and passion. Pianist Nate Morgan, who logged time with funkateers Rufus in the �70s and rappers Bone Thugs N� Harmony in the �90s, is a player in the Tyner mold, flowing with abandon through moving block chords and cascades of right-hand notes. Bassist Henry Franklin honed his craft in straight-ahead, Latin, and experimental contexts and supplies a firm foundation, while drummer Alphonse Mouzon � another veteran of Tyner�s �70s band � is a propulsive powerhouse and a joy to hear. Editor�s note: The author has performed with Aaron Gonzalez.